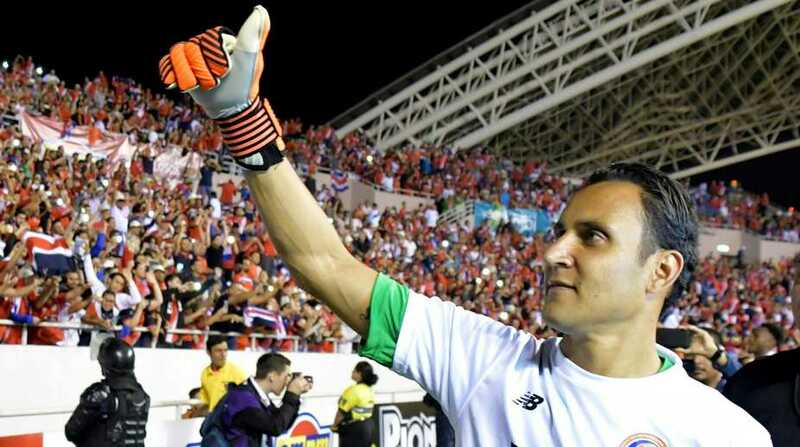 Watson’s header deep into injury time gave Costa Rica a 1-1 draw with Honduras and a berth in the 2018 World Cup. Kendall Watson’s header deep into injury time gave Costa Rica a 1-1 draw with Honduras and a berth in the 2018 World Cup in Russia. Eddie Hernandez had headed Honduras ahead in the 66th minute, and it appeared that Costa Rica would have to put their Russia plans on hold. But five minutes into stoppage time, Watson rose in the center of the area to head in Bryan Ruiz’s cross and spark joyful celebrations at the National Stadium in San Jose, where the match was postponed from Friday due to the effects of Hurricane Nate. Costa Rica had a golden chance to take the lead in the 60th minute. Honduran goalkeeper Donis Escober had pushed a shot back into the middle of the area only for Marcos Urena to fire over the empty net. Six minutes later, Romell Quioto sprinted down the wing and crossed into the box where Hernandez connected with a thundering header to put the visitors in front. Three CONCACAF teams advance directly to the finals in Russia with a fourth to play off against either Syria or Australia for a berth. The United States moved into third place on 12 points on Friday with a 4-0 romp over Panama. Panama are on 10 points in fourth and have the advantage on goal difference over Honduras, also on 10. CONCACAF’s six-nation final round of qualifying concludes on Tuesday, when the United States travel to lowly Trinidad and Tobago, Honduras host Mexico and Panama host Costa Rica. Costa Rica will be playing in their fifth World Cup finals. They were quarter-finalists in Brazil in 2014 and reached the knockout stage in Italy in 1990. The Ticos also played in 2002 and 2006.